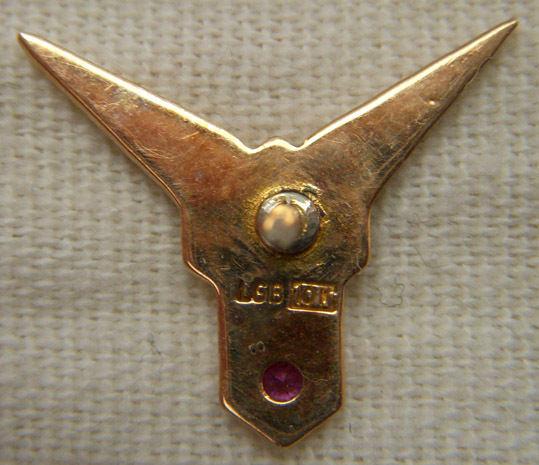 ARTIFACT: This is a scarce Emery Air Freight (EAF) service pin in 10 karat gold. 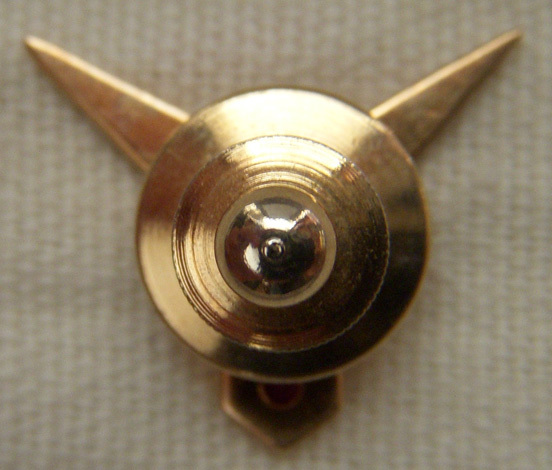 The pin is a pair of wings with a panel reading EAF and has a ruby chip. SIZE: 5/8� height and 3/4� width. CONSTRUCTION/MATERIALS: 10 karat gold with blue enamel and a ruby chip. ATTACHMENT: Single pin with clutchback catch. CONDITION: 9- (Excellent+): Pin shows virtually no wear.